Excited to share today's post with you guys! I'm actually coming down with something right now and am super tired so today's post is going to be short but sweet. I centered my latest OOTD around my new crop top from BCBG! I picked it up at the factory outlet a while back for $10 (!!!) I paired it with a high-waisted fluted skirt and accessorized with killer block heels + statement jewels. 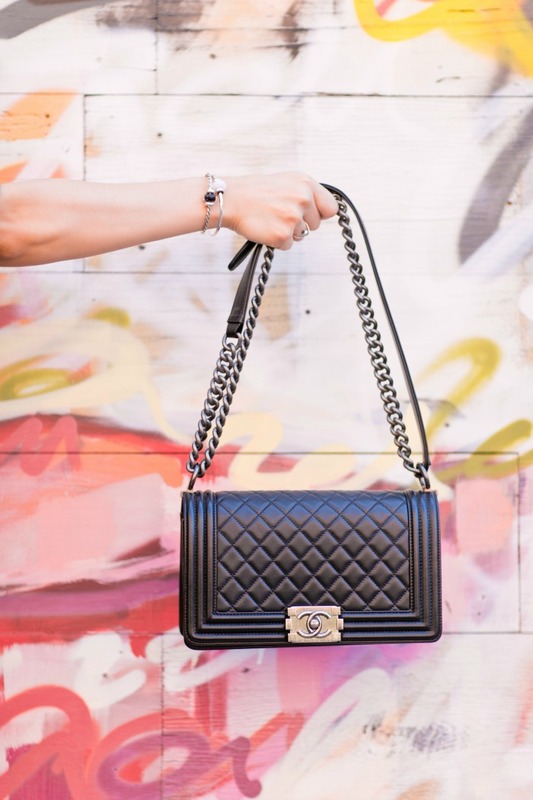 A closer look at my Chanel boy bag - an investment buy for sure, but there are a ton of other similar + affordable options for y'all. Straight up obsessed with Trollbeads' new twisted bangle. Y'all know I love a good arm party! 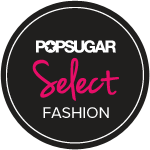 Browse more of their fall collection for fab new designs that slay. 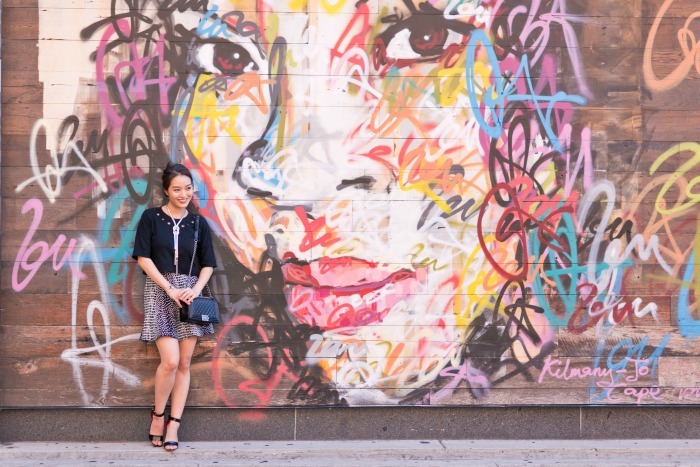 Photos shot by blogger bestie, Melanie Yu aka La Belle Mel. you look super cute ! 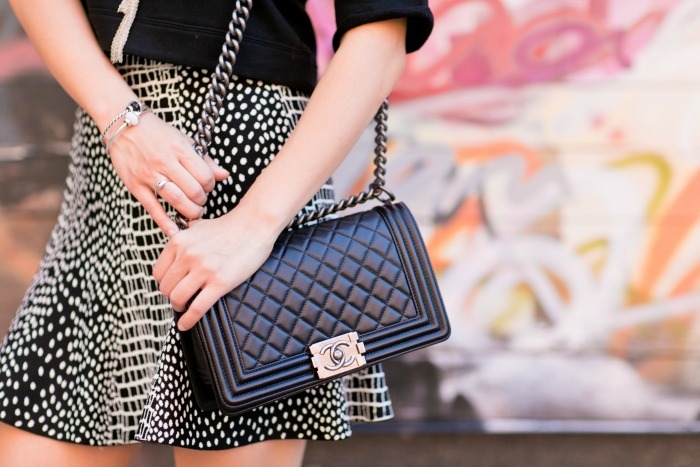 love the bag and the skirt ! When my really weird daughter graduated, she wanted to have pictures that were unique. So early one Sat morning we headed to the city and did a photo shoot at the various Graffiti spots in the city...there is some remarkable stuff on quite a few sides of the building an we watched an artist doing some underneath the one bridge, where the walk ways are in the park.